My name is Paul Reutershan and I am a sales executive at Pipedream Products. 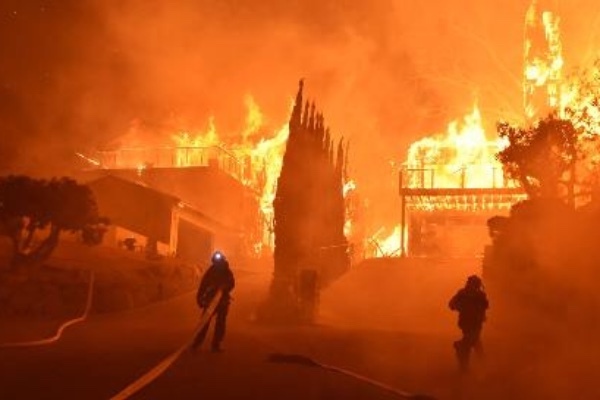 I’ve created this go fund me campaign to assist our adult industry friends who may be displaced by the fires in Ventura and Southern California. We are all family so please contribute what you can. The proceeds from this campaign will go to the Southern California Red Cross to assist our industry family with needs they may have after the fires have subsided. 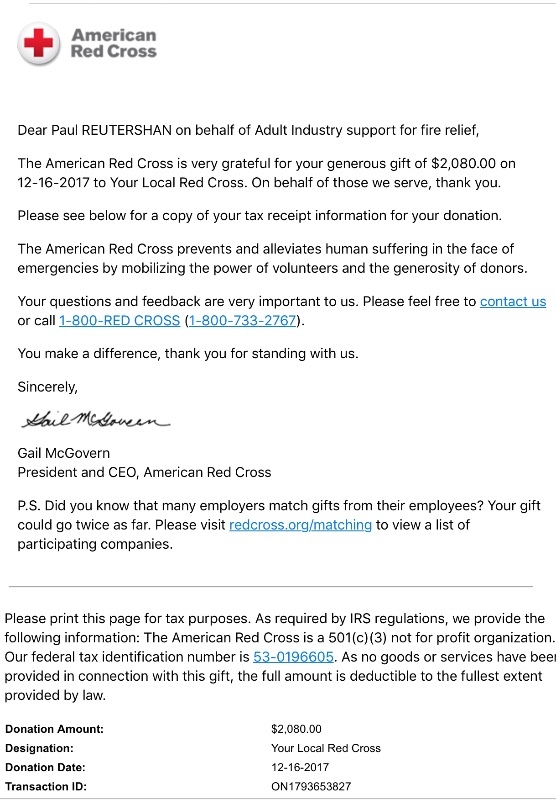 I have made our donation to the local Los Angeles Red Cross on behalf of the Adult Industry to support our friends. I paid the fees so our donation is the total amount raised of $2080. I’ve reached out to the Southern California Red Cross to make sure the donation goes to those effected by the fires. As soon as I confirm the donation will made. Thank you all for donating to help our friends! We have collected $2060 in donations and I thank all who contributed. I’ve contacted the Southern California Red Cross to make sure these funds will directly assist those effected by the fires. I will post the donation once it has been made with an image of the donation receipt. We have raised $2010 for our industry friends to be donated to the Southern California Red Cross for distribution. This campaign will stay up until December 15th, then I will cut a check and post an image of the check. Thank you to all who have contributed!